The world now has more young people than ever before — of the 7.2 billion people worldwide, more than three billion are younger than 25 years, making up 42 per cent of the world population. According to World Health Organisation, around 1.2 billion of these young people are adolescents aged between 10 and 19. Ahead of Universal Children’s Day, Better Health spoke to Dr Nadia Dabbagh, Consultant Child and Adolescent Psychiatrist at Rashid Hospital and Programme Lead for the Mental Health Strategy at DHA, about child and adolescent well-being. Rashid Hospital’s psychiatry department counsels more than 300 new children and adolescents per year as outpatients, in the wards and in the emergency department. Dabbagh says the majority of adolescent patients suffer from anxiety and mood disorders, eating disorders, obsessive-compulsive disorders as well as psychotic disorders including schizophrenia. Not all cases need psychiatric counseling. Parents need to be alert and keep the channels of communication open with their children by actively listening to their children, building trusting relationships by getting to know and understand them so they can detect when they are facing difficulties. “Not all cases need psychiatric counseling. Parents need to be alert and keep the channels of communication open with their children by actively listening to their children, building trusting relationships by getting to know and understand them so they can detect when they are facing difficulties. "This is a crucial part of parenting. Once the parent picks up signs that need attention, they can intervene and through involving other family members, caregivers or teachers they may be able to resolve the problem. “However, there are some situations where cases need to be brought for medical attention promptly. Sometimes due to societal pressures and cultural barriers, parents bring their children in late. Dr Dabbagh says the conditions present at different ages. 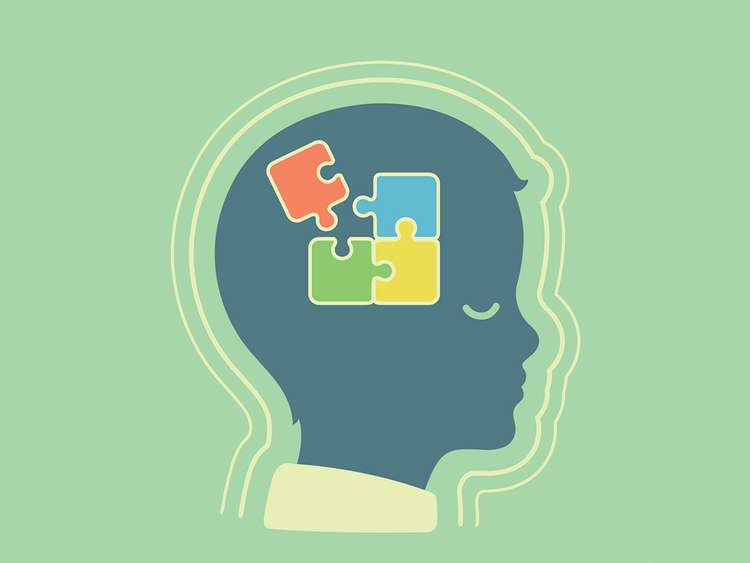 “At a younger age, we see cases of ADHD, speech delay, developmental delay, autism spectrum disorder and the faster we recognise developmental delays the better it is in terms of managing the condition through early intervention services such as school readiness programmes and integration into mainstream school with the appropriate learning support. She adds that listening and being there for your children to provide safety, stability and consistency as well as encouragement for kind and social behaviour are cornerstones of positive parenting. At the same time it is important to teach children problem solving and stress coping mechanisms so they can face the world with the necessary tools to overcome challenges and setbacks. 1. Being there: Offer stability and security. Parenthood cannot be delegated. 2. Consistent positive parenting: Promoting and encouraging positive behaviour, spending time playing with children and positive reinforcement for pro-social behaviour, which include helping, sharing and cooperating. 3. Boosting their sense of confidence: It is important to praise the efforts of your children and to focus more on the efforts rather than the achievements. This helps build their self-esteem and confidence. 4. Problem-solving: Instead of solving the child’s problem, involve them in the process in thinking of different solutions. The problems can be simple day-to-day ones from ways to rebuild a tower of LEGO that’s fallen down or having forgotten a book at school to more serious dilemmas such as failing important exams or dealing with changes or loss. 5. Set clear expectations and boundaries: Good parenting involves being able to offer a combination of warm, caring and kind behaviour along with the ability to set firm boundaries. Children need boundaries to feel safe and to prepare them for the real world. The golden rule is that children cooperate better when they are positively motivated and rewarded. Oppositional behaviour can be ignored or redirected but overt defiance or aggression such as hitting, dangerous behaviour or the use of swear words needs to be addressed as unacceptable. However, the overall focus must be placed on motivating and encouraging children through a positive approach. The non-monetary rewards — such as smiles, praise, hugs and offering your time and interest — can be equally effective rewards to gifts or other treats. 6. Pick your battles: Too many fights damage your relationship with your children and can lead to persistent defiant oppositional behavior and a potentially angry or depressed young person who won’t be performing as his or her best. A positive behavioural approach and techniques such as distraction and redirection to deflate the situation are much better first-line approaches to negative behaviour. The United Nations Universal Children’s Day was established in 1954 and is celebrated on November 20 each year to promote international togetherness, awareness among children worldwide, and improving children’s welfare. November 20 is important as it was the date in 1959 when the UN General Assembly adopted the Declaration of the Rights of the Child. It is also the date in 1989 when the UN General Assembly adopted the Convention on the Rights of the Child.